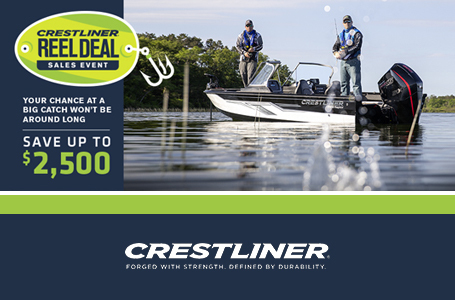 2018 Crestliner 1760 Retriever Deluxe priced with a Mercury 40 HP 4-Stroke Tiller Jet. The price listed includes: boat, motor, trailer, rigging, and freight. 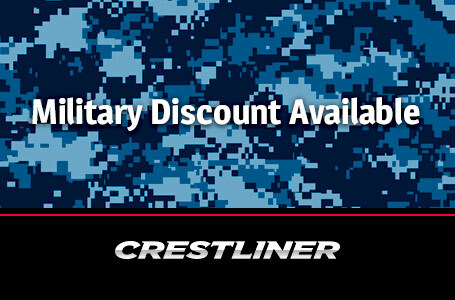 Receive a $300 rebate with Crestliner’s Military Rebate Program. Proper documentation required. Hunting for game is the hard part. Finding the right boat to do it in, that's easy. Because when it comes to jon boats, the Retriever Jon Deluxe series won't let you down. And the 1760 Retriever Jon Deluxe is no exception. Durable and packed with fish and hunt-friendly features, this is one jon boat you won't need to hunt for. 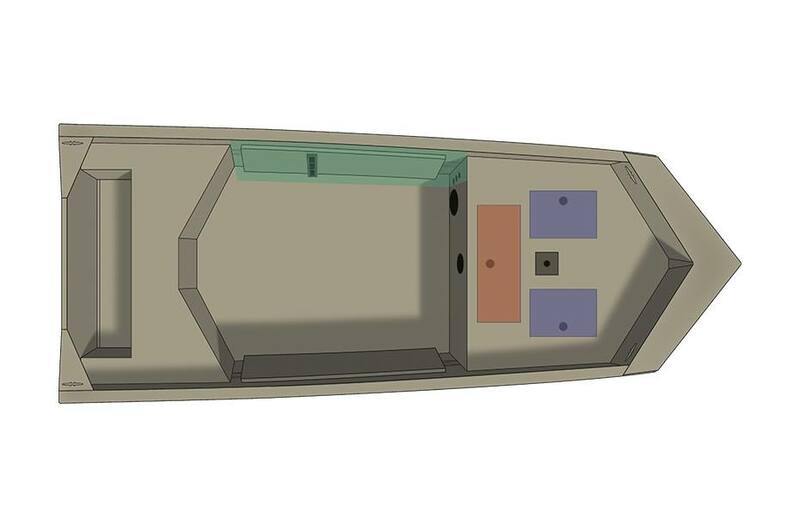 Stern Seating: The unique winged stern bench seat allows for comfortable control of the tiller and easy access to rod storage. 16-Gallon Livewell: A standard 16-gallon livewell is located in the bow for easy access. Rod Rack: Starboard rod rack holds up to three rods. Lock Track Gunnel: Our exclusive Lock Track gunnel system allows accessories to be quickly mounted, adjusted and removed, ensuring you're always properly outfitted. Gunbox with Rod Tubes and Cushion: Optional gunbox with rod tubes and cushion allows you to bring whatever you need to hunt or fish. Tempress Seat with Pedestal On Bow: Fish all-day in comfort from the bow of your boat with the Tempress seat. Weight (Boat only, dry): 707 lb.